Call & Mention this Ad for 10% off your First Residential Pest Control Service! 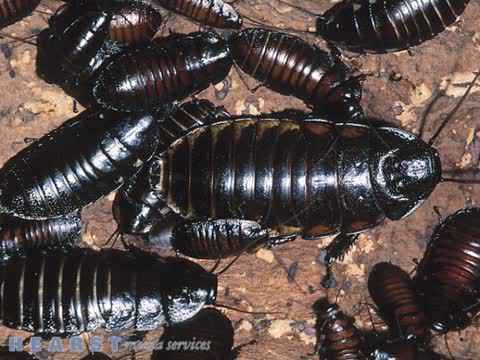 Are you looking for quality pest control services in the Greenville, NC; Rocky Mount, NC; and Wilson, NC area? For the finest in termite control and other exterminating services, choose the professionals at King Exterminating. King Exterminating are the pest control specialists serving customers throughout the entire Rocky Mount, NC area. With a high attention to detail, the latest industry techniques, and honest, friendly staff members, our pest and termite control services are second to none in Greenville, NC, Rocky Mount, NC, Wilson, NC or the surrounding areas. King Exterminating is a pest control company serving Greenville, NC; Rocky Mount, NC; and Wilson, NC that offers a full range of pest control services. Whether you’re tired of battling everyday common pests like fleas, ticks and mosquitoes, or you’ve just discovered termites under your house, King Exterminating can help. If you’re concerned about moisture or mold problems, King Exterminating can remedy the stress created by undesirable circumstances for pests around your home! 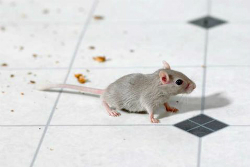 Not only are these pests a nuisance, but they can be detrimental to your family's health. Let us put an end to the stress and danger of dealing with these unwanted houseguests. 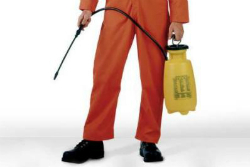 Call for the Finest in Pest Control! We’re the experts when it comes to exterminating, and we’re here to make your life a little easier! When you need expert pest management, call the best exterminator, serving customers in Greenville, NC, Rocky Mount, NC, Wilson, NC and all points in between! We take the time to ensure that we find all of the invasive pests, get rid of them, and then put measures in place to keep them from returning. The best part of working with King Exterminating is that you will not have to call us back. We get the job done right the first time. Please give us a call for more information or to schedule an appointment. 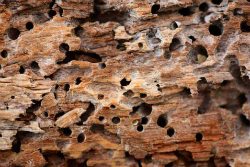 If you have termites, you have more than just a bug problem. Termites can quickly build a large colony and systematically destroy the structure of your home, costing you thousands in repair bills. You need service that will not only get rid of the termites you’ve got, but also take every precaution possible to ensure that they never come back. With King Exterminating, you get the peace of mind knowing that we will thoroughly inspect your home, treat all infested areas, and ensure that measures are in place to keep your home termite-free. Get the termite control service you deserve at a price that you can afford. Call King Exterminating today! Termite control is a big concern in the Wilson, NC area as they pose a year-round threat. Far from being just an annoyance, these bugs can cause serious harm to the structure of your home. You only put your home at an increasing risk the longer you wait to get an inspection. That's why you need King Exterminating termite control services regardless of whether or not you've noticed damage. Call us for more information. With over 25 years of experience, you can see why we are the best of the best. King Exterminating was established in 1985 by Alan King on a foundation of hard work and honest customer service. Alan and his staff have always been dedicated to making sure that we meet and exceed the expectations of every customer we serve. Don’t go with one of those other companies who might kill a few bugs but leave openings for them to return. Work with our professionals and you can be confident that your pest and termite control problems are over. Choosing a pest control company is an important decision. You want to know you’re dealing with a world-class company with highly-trained, responsible, and consistent service professionals. We provide convenient service scheduling from our offices to eliminate hassles and provide an accurate, easy-to-understand invoice after each service. At King Exterminating, our quality is high, but our rates aren’t. We have some of the most competitive rates in the business. It truly is our goal to provide the best customer service experience to the Greenville, NC; Rocky Mount, NC; Wilson, NC; and surrounding areas. It’s part of our commitment to excellence... that’s the way we do it at King Exterminating! Watch our video to learn more about our pest control services. We appreciate the opportunity to earn your business. Don’t forget to mention this site to receive 10% off of your first residential pest or termite control service. If you are looking for the best exterminator in the Wilson, NC, Greenville, NC, and Rocky Mount, NC area, feel free to contact us.